The Ostrich Pillow Light – Sleep Everywhere! 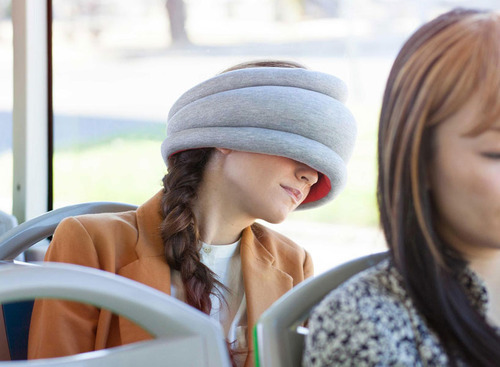 Thanks to the Ostrich Pillow Light, you’ll catch up on sleep at almost any place! The Pillow covers your eyes and ears and it’s filled with special silent silicon coated micro-beads to enhance sound reduction. Still, the pillow remains light at the same time. Traveling time won’t go to waste anymore, get your beauty rest at even the most uncomfortable places with the comfortable Ostrich Pillow!